REAL MADRID travel to the Russian capital on Tuesday and will likely hold on to top spot in Group G with a win. Madrid’s unprecedented success in the last 4 years is hard to ignore as a favourites backer, even if they’ve won this trophy in 3 of the last 4 seasons without being the stand-out team in any of those years. They tend to turn it on in Europe, and even when they don’t, they often still find a way to win. Even without Ronaldo this season, their 11 will be significantly stronger than Moscow’s and they will likely still win this even if they don’t dazzle. This week though they will also be without Bale which may put some people off. After his injury became clear Madrid went out to 8/13 from 4/9 and I think the bookies have been a tad too generous. I’m confident Madrid will still create chances for fun and I like the look of Asensio (17/11 @ Unibet / 888sport) and Benzema (6/5 @ Unibet / 888sport) to get on the scoresheet. 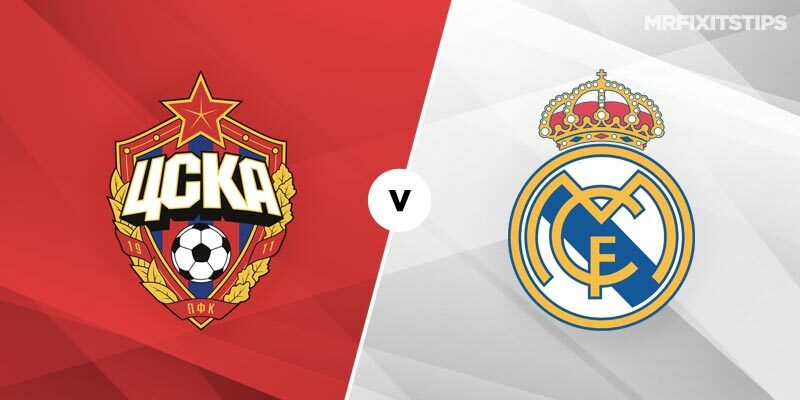 CSKA Moscow’s home form is typically strong, but nothing particularly special; their home ground can hardly be considered a fortress – they win more than they don’t, but are far from imperious. All things considere– I am getting stuck into the 8/13 (various) on the straight away win and will also get Madrid goals onside – I’ll be taking the 15/8 @ Betfair on over 2.5. CSKA find the net reliably at home, so I think goals are better than the handicaps in this one. With that in mind, some may fancy the 21/10 (Betfred) on Madrid winning with both scoring. Personally, I don’t want to be sweating a home goal on the night. I’m confident Real Madrid will do the business and pleased Bale’s absence has given us a value price to get stuck into.